Lesson to be Learnt: NEVER Go Up Against Najib Supporters. We don't know what ever made Najib decide to do a Meet-and-Greet session outside of Universiti Malaya yesterday, but he wasn't greeted with a nice "welcome party" -- instead, he met a group of pretty vocal students. The students pulled out the much-loved clown-faced Najib caricature & posters with the print "Where's the RM2.6 Billion?" 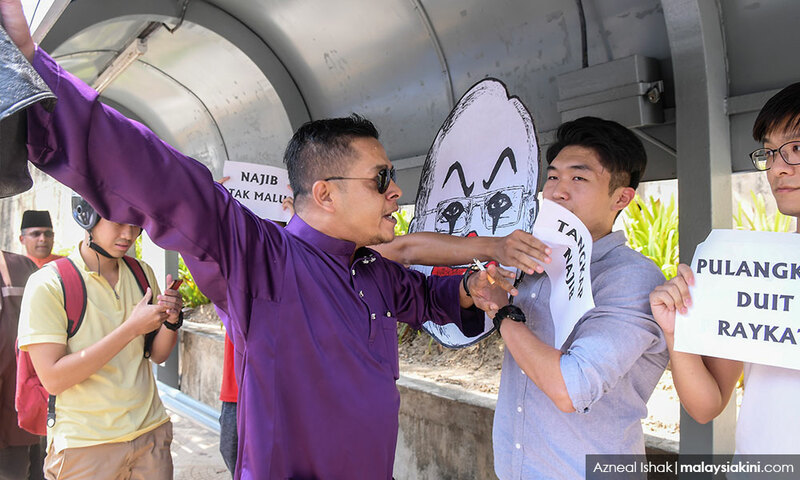 + chanting "LIAR" -- and of course like the bunch of gangsters that these Najib supporters are, attacked and tore up the posters and even the caricature face! Tsk tsk...no love for real Art. Now sh*t hit the fan real fast when these A-holes put their hands on the students; one even caught putting a kid in a chokehold! 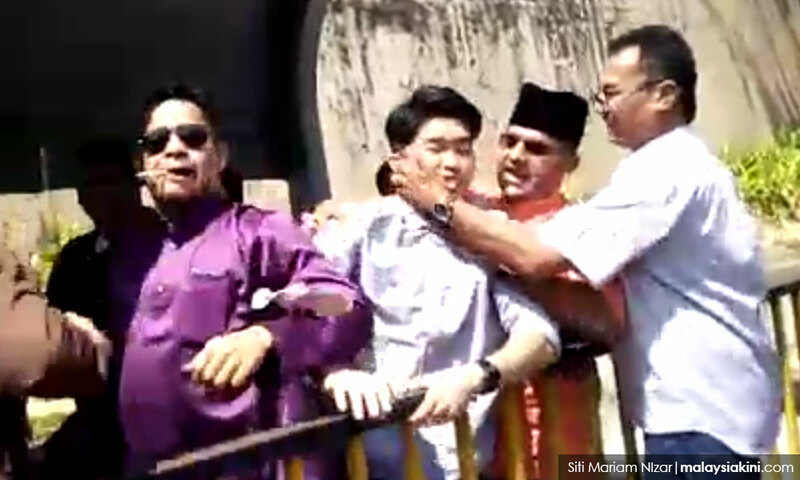 The student caught in the chokehold is UM's Youth Association President, Wong Yan Ke. These "street hoodlums" continued to pursue the students, even after they backed away. Now... I neither Hate nor Like Najib, but who dafuq gave these wannabe-gangsters the right to put their crumply old hands on students? We are allowed to have Freedom of Speech are we not? 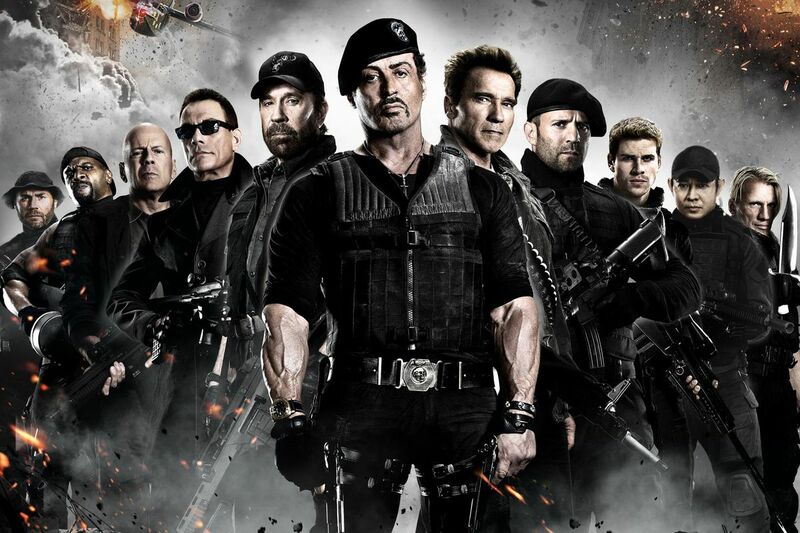 So what happened next was that the Pantai Dalam police showed up to break off the fight. Don't worry, the students weren't being unfairly investigated -- but instead were being protected by the cops, as they were taken to the Pantai Dalam police station. "I did the Right thing." 2. A Thug-ish Jamban Fella.. Proving to not be the right leader for Malaysia, Mr. Najib himself said, “I regret that reporters were caught up in the altercation and that the provocation and the subsequent scuffle took place,” but refused to apologize for the bash-up with the UM students. I'm not the only one angered by this, and apparently so is former UMNO Youth chief, Khairy Jamaluddin, criticised the behaviour of the Umno supporters. Even Education Minister Maszlee Malik stepped in to have his say about the incident. 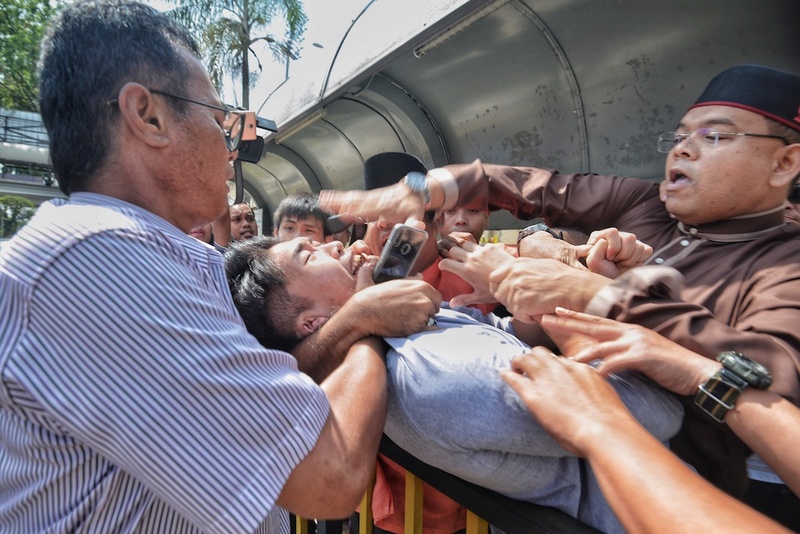 He wants the authorities to probe the scuffle and take appropriate action and also said that a university is not the place for gangster-like behaviour. We AGREE! My advice to all you Young Millennials out there -- KNOW YOUR RIGHTS. Don't let these "street rats" scare you from practicing your rights to Freedom of Speech -- especially if you're not hurting anyone.